My first trip to the States, in 1997, was to the Hanford Nuclear Reservation, 560 square miles of beautiful, polluted desert landscape in the Columbian Basin, Washington State. 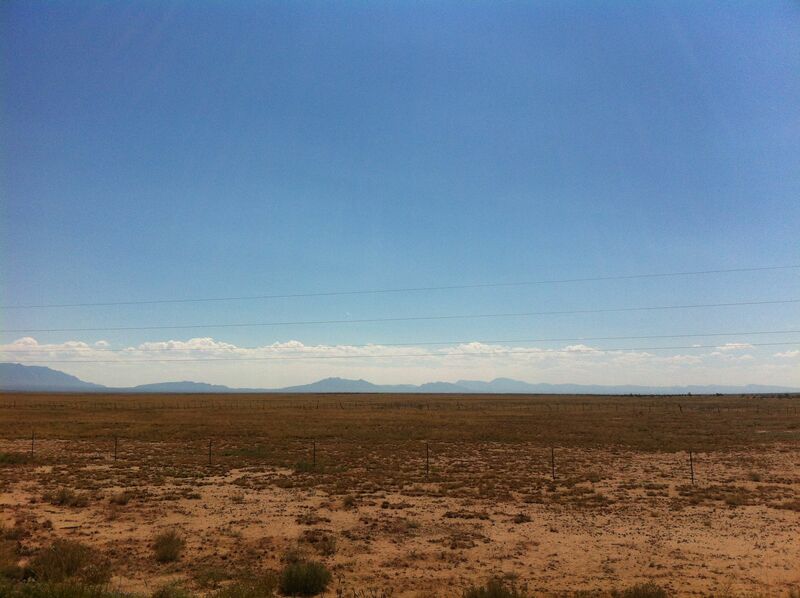 This is where the first reactors were built for the Manhattan project to produce plutonium: fuel for the atomic bomb. During the Cold War, Hanford was home to nine nuclear reactors and five massive plutonium-processing complexes, a vast complex technological landscape. I travelled there to meet with the artist James Acord, the “nuclear sculptor”, who took us around and told us numerous tales about the history and contested landscape of Hanford. The nuclear landscape of Hanford – contested, isolated, resonant with history, paradoxically visually beautiful and highly polluted, dense with security – fascinated me. 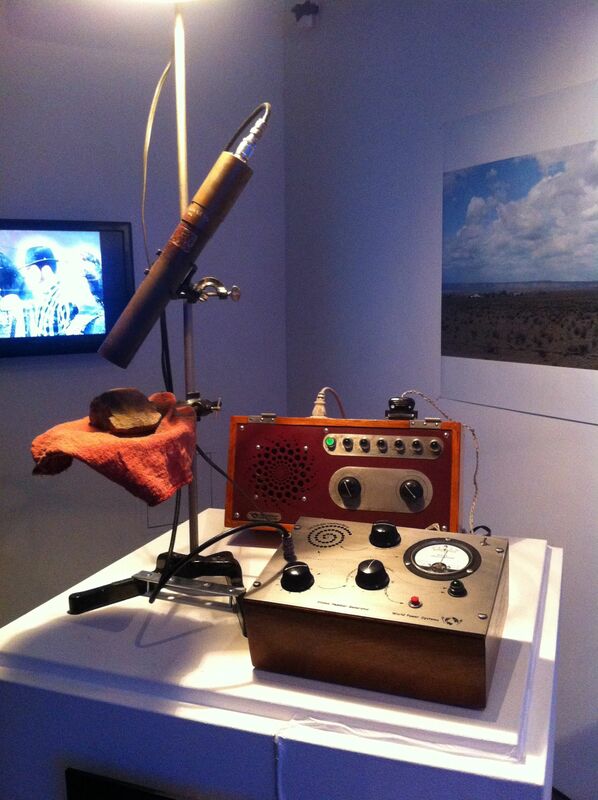 Visiting New Mexico for ISEA 2012 (International Symposium of Electronic Arts): Machine Wilderness, I was keen therefore to explore this other significant landscape of nuclear history. 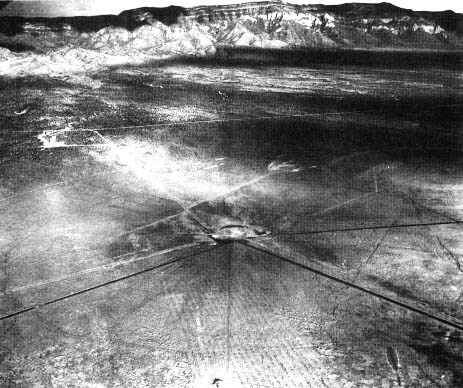 The world’s first atomic bomb Trinity exploded in the deserts of southern New Mexico, using plutonium made in Hanford, while to the north of the state, the volcano-perching small town of Los Alamos was the heart and brain of the wartime atomic bomb programme. Both Hanford and Los Alamos remain home to significant scientific laboratories, closely associated with the military’s nuclear programme. At ISEA, I met Matt Coolidge, the director of CLUI(Centre for Land Use Interpretation), an expert on the constructed landscapes of the States. Coolidge gave a brief presentation on the technological landscape of New Mexico, particularly Los Alamos, as part of the ISEA ‘Radical Cosmologies’ panel, but almost more interesting was when, afterwards, he showed us the large amount of Los Alamos laboratory surplus equipment in the back of his transit van, that he had bought from a place called the Black Hole in Los Alamos. Two artists on the same panel were Tom Jennings and Eve-André Laramee, who had a collaborative installation ‘Invisible Landscapes’ in the ISEA exhibition, referencing the Cold War atomic legacy of uranium mining and radioactive waste. Their installation included video projections and sculptures, digital photos and light box and sound sculptures (click here for iPhone video clip of the piece). I visited the Museum of Nuclear Science and History in Albuquerque, a fascinating place, made more interesting by chatting with a guide and educator there, John Anderson, who worked for over 50 years in the nuclear world. I commented on his English/Russian name badge, and he explained that he had been part of a programme in which the US provided technical advice to the Russians on safety and decommissioning. He pointed out some of the most interesting exhibits, including a neutron bomb, mythologized as being able to leave infrastructure intact, destroying only living things, in fact their detonation, Anderson told me, would cause considerable destruction through blast and heat effects. He also talked about some ‘Broken Arrow’ incidents – US military terminology for accidental event that involves nuclear weapons, including accidental nuclear detonation or, astonishingly, the loss in transit of a nuclear weapon or material, primarily due to aircraft accidents. 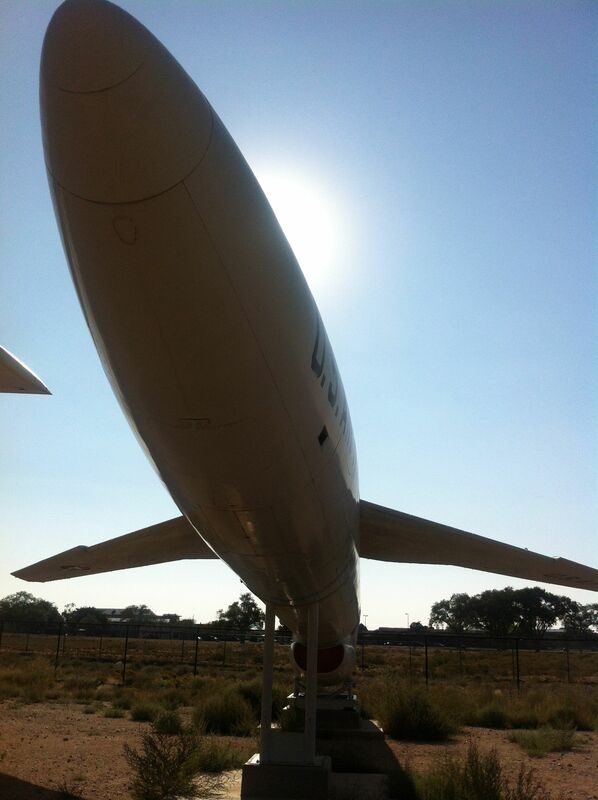 The Museum houses many fascinating exhibits and a magnificent large-scale outdoor display in development, which includes a B52 bomber plane, an Inter-Continental Ballistic Missile, and a nuclear cannon. 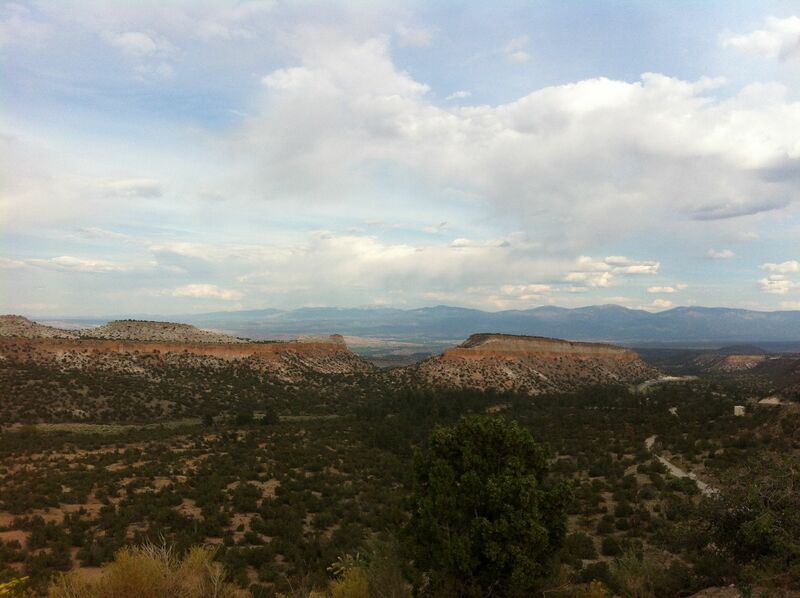 My road trip to Los Alamos started out from Albuquerque, heading northbound along the Interstate 25, but I soon turned off to take the looping, scenic back route, which took me through ancient sacred grounds of Native Americans, winding along one of the steep canyons of the mesa, and around the crater of the Valles Caldera. 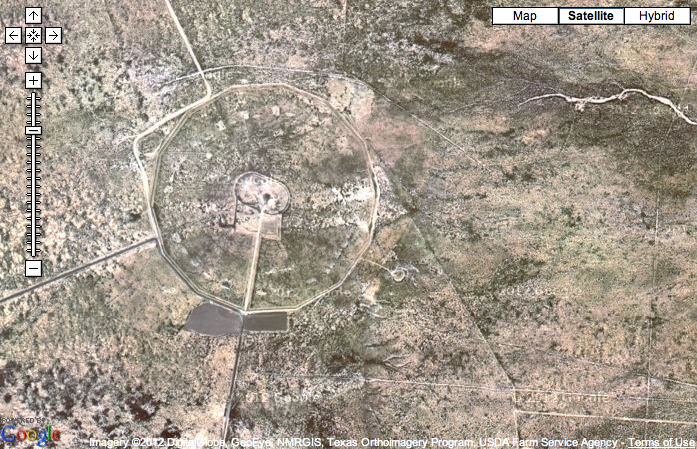 Robert Oppenheimer, the scientific head of the Manhattan Project, chose the site. 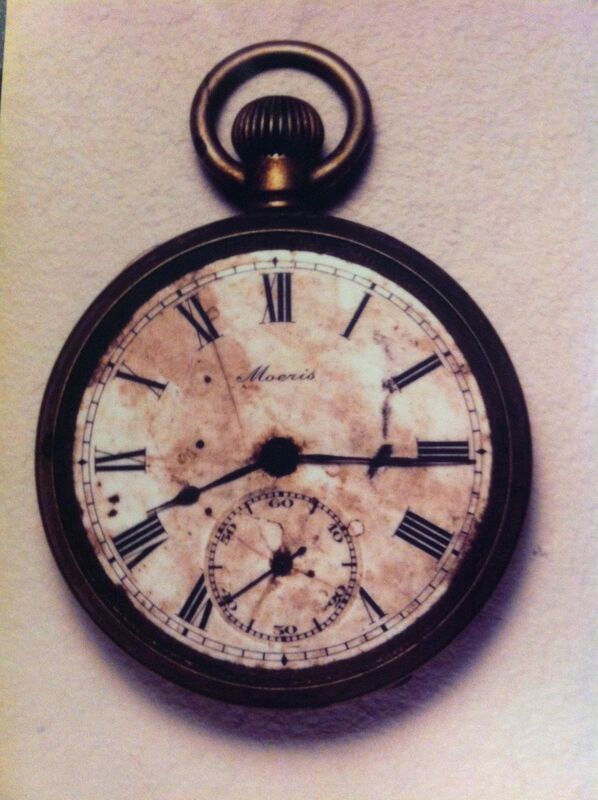 He knew Los Alamos, the site of a small private school, from his youth, when he rode in the New Mexico landscape. Los Alamos suited the brief for the site: remote, far from the sea, and sparsely populated. By autumn 1943, a few thousand people were living in Los Alamos, working in the lab in the hills. They worked six days a week for two years, their work culminating in the atomic bomb explosions in 1945: the Trinity test, and the bombing of the Japanese cities Hiroshima and Nagasaki. After the war, the work at Los Alamos continued as the Cold War darkened, making bigger and “better” nuclear weapons. 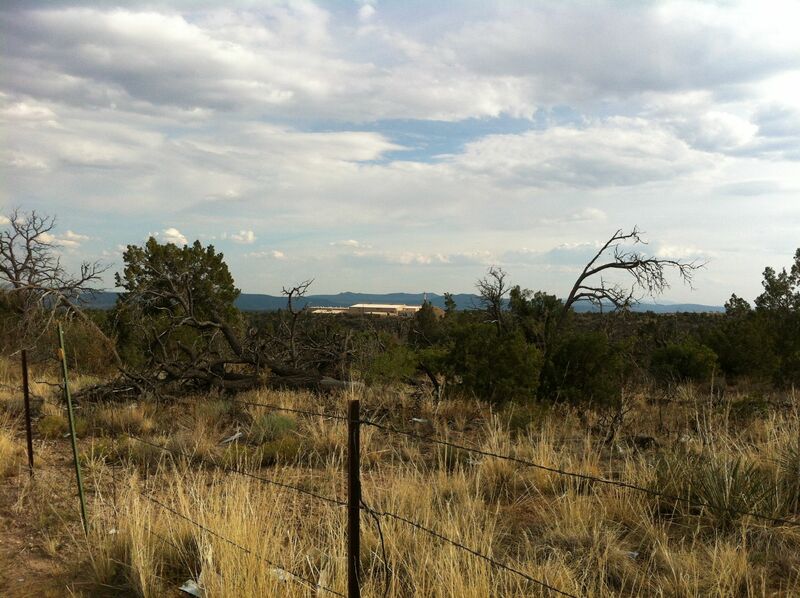 I drove around the fenced lands of the Los Alamos National Laboratory (LANL). The area is divided into seventy-four Technical Areas. The lab is now engaged in a range of programs related to security, environmental technology, renewable energy, health sciences, and son on. But nuclear weapons are still the main activity and responsibility of the lab. I passed the main gates of the lab, and rejoined the main road into town from the other side. Entering town, the former gates of the lab are recognizable by an unused guard tower on one side, and a guardhouse on the other, now a restaurant. Beyond the gate, Technical Area 21 on the left, is one of the most contaminated sites. 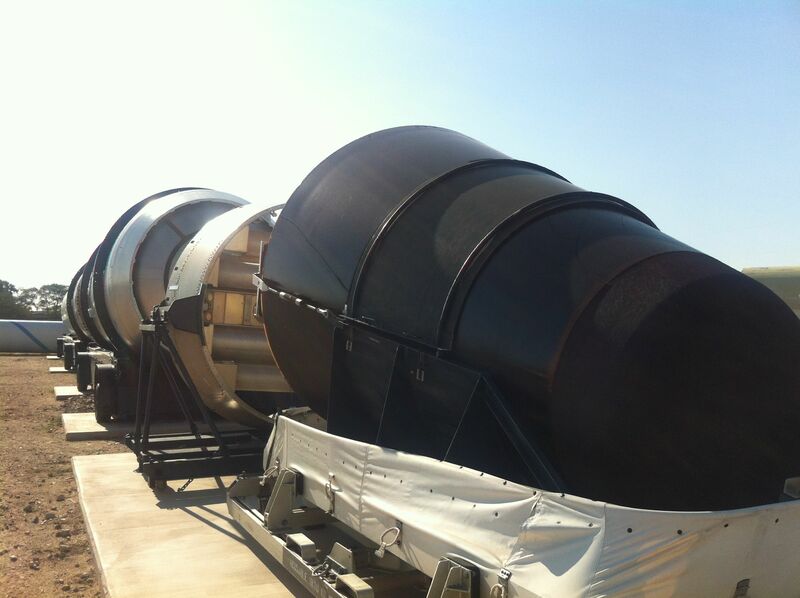 Facilities here were used for early research with plutonium and uranium. It’s the site where chemical operator Cecil Kelley died in a plutonium criticality accident in 1958. Los Alamos has the clean, planned look of an affluent middle class suburb. I stopped off at the Bradbury Museum, predominantly a science museum, with a specific emphasis on nuclear science. It has an excellent large-scale annotated map of the area, some interesting exhibits, including replicas of Little Boy and Fat Man – the Hiroshima and Nagasaki bombs – and a cinema, which showed a very interesting film on the history of Los Alamos and the Manhattan project.I visited the tiny Los Alamos Historical Museum, which – unlike the Bradbury Museum – includes panoramic photographs of destroyed city of Hiroshima. Behind this small interesting museum is Bathtub Row, the remaining teachers’ cottages from the former school, which became the housing for the main lab scientists. 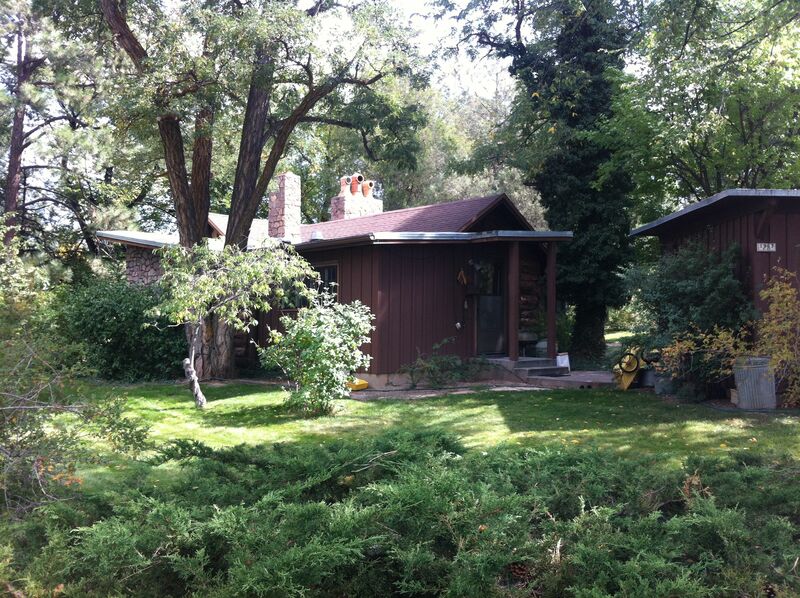 These bungalows were considered luxurious for having bathtubs. Oppenheimer’s house is at the far end of the row. I drove up the valley, along “Acid Canyon”, where untreated waste was dumped between 1943 and 1953. It is next to the town’s high school. 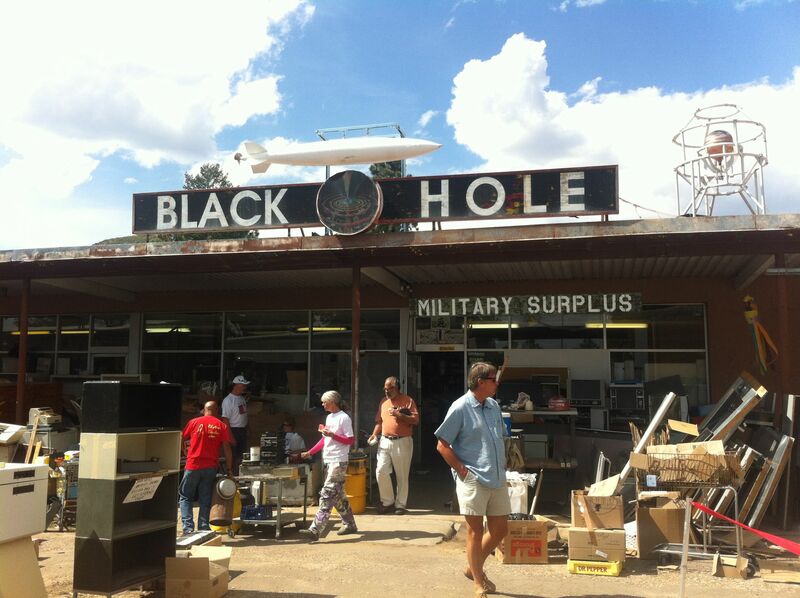 I was heading for the “Black Hole” of Los Alamos, a vast collection of surplus Los Alamos laboratory equipment, bought at auctions and acquired by other means, over decades, by the late owner of the Hole, Ed Grothus. Grothus once worked at the lab, but resigned due to his ethical concerns, staying in Los Alamos as an outspoken critic. The Black Hole has been selling off the collection for years, and the weekend I was there, Grothus’ adult children were having a big sale at the Hole. 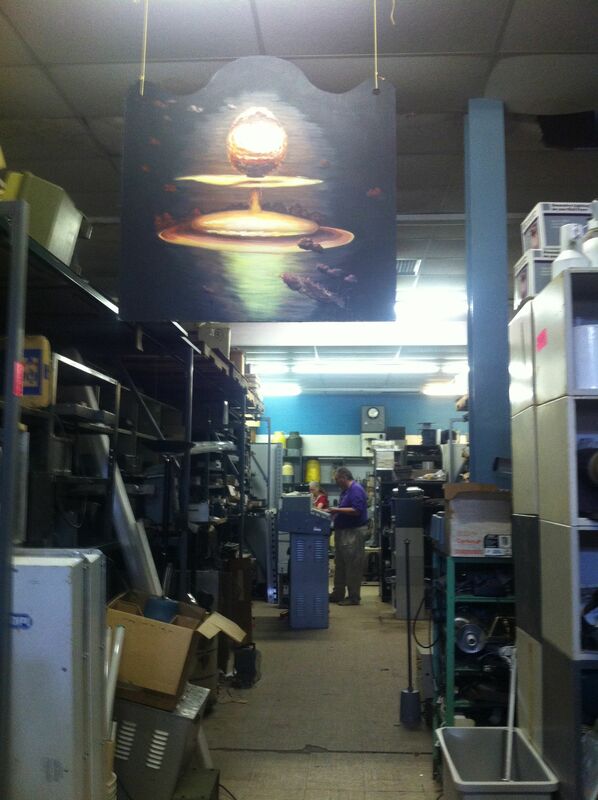 Several artists – to whom Matt, I or my colleague Rob had mentioned this – also turned up, overjoyed at the opportunity to buy extraordinary items of fascinating old nuclear lab equipment. On the way back to Albuquerque, I took the Turquoise Trail, Highway 14, called after the several turquoise mines that were once here. The road passes through former mining towns, some now deserted. Gold, silver, lead, zinc and coal were all mined around here. I stop for a beer before sunset in the town of Madrid, now a community of artists and creative types, with a main street lined with cafes, bars and craft shops catering for tourists. 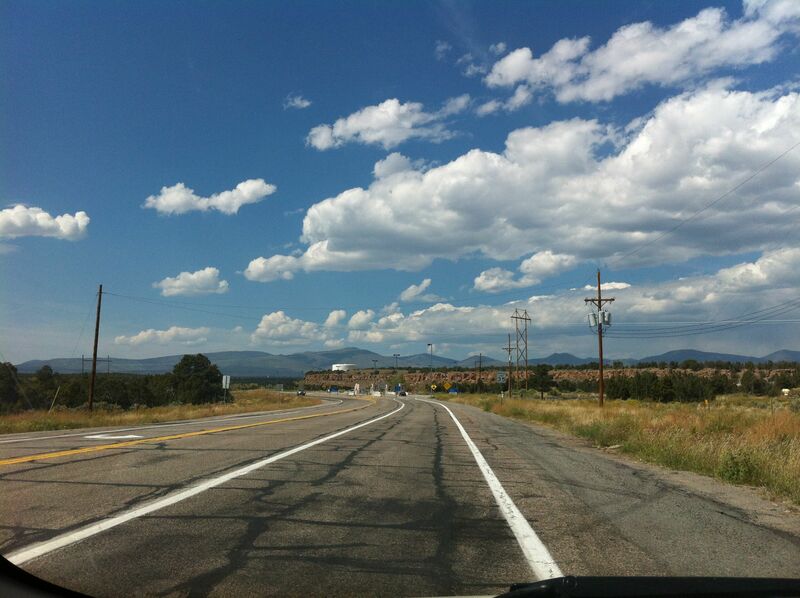 A few days later, I set off South, taking Interstate 25 in the other direction. An hour’s drive, and I turned left onto Highway 380, and headed out along the Northern perimeter of the White Sands Missile Range. 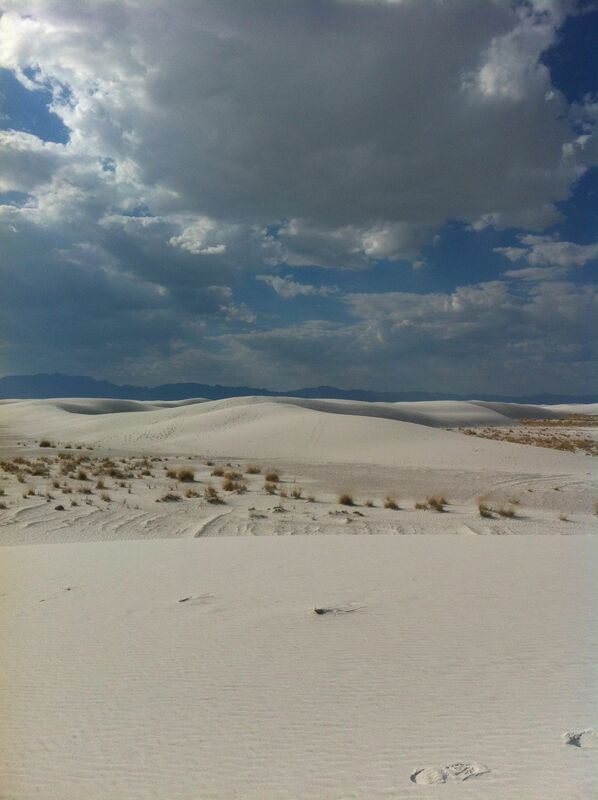 White Sands is the largest military installation in the United States, covering is almost 3,200 square miles. This was the site of the first atomic explosion. Ground Zero at Trinity is now only open to the public on two days a year, but I pulled over on the stretch of road that I calculated was closest to the site. I stepped out of the car into the heavy heat of the desert, and looked south across the dry lands towards the mountains. From where I stood, about 20 miles from Ground Zero, I would have felt the heat and shock wave of the explosion, and the mushroom cloud would have been clear to see, reaching 7.5 miles in height.